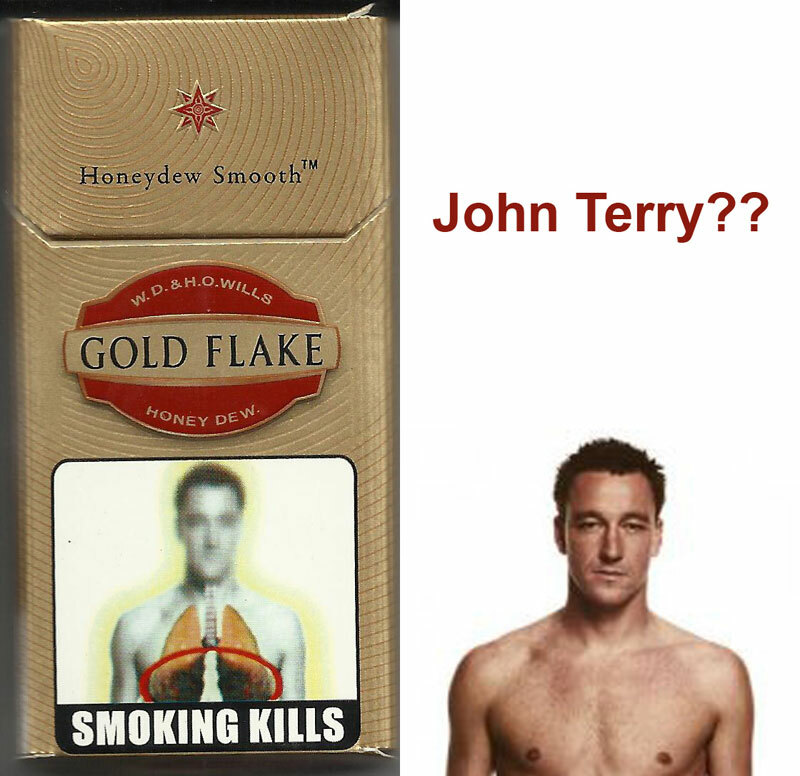 Smoking is bad, says John Terry? England footballer John Terry’s conscience may be a little dark after having an affair with his teammates wife, but his lungs are definitely not. At least, that is, unless you pick up a packet of cigarettes in India, where the public health warning appears to show Terry with a set of blackened respiratory organs. Terry’s London-based lawyers had threatened to sue over the blurry photograph featuring the head and shoulders of a man closely resembling the former England captain and current Chelsea skipper. “Some people raised objections to the picture. We have asked the directorate of advertisement and visual publicity to provide new pictures, which they have done,” a health ministry official said. The ministry has continued to deny the picture was of Terry, but it is distinctly similar to an image of him available on the internet. past over drinking binges, was a non-smoker.